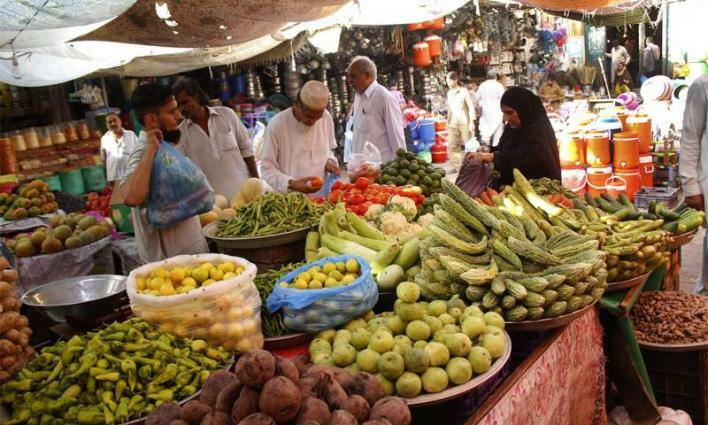 ISLAMABAD, (UrduPoint / Pakistan Point News - 16th Apr, 2019 ) :The Weekly inflation for the week ended on April 11 for the combined income group witnessed positive growth of 0.3 percent as compared to the previous week. The Sensitive price Indicator (SPI) for the week under review in the combined group was recorded at 250.17 points against 249.41 points registered in the previous week, according to the latest data of Pakistan Bureau of Statistics (PBS). Meanwhile, the inflation for the lowest income group also increased from 228.59 points in last week to 229.38 points, showing increase of 0.35. As compared to the corresponding week of last year, the SPI for the combined group in the week under review witnessed an increase of 12.02 percent, and for the lowest income group, it increased by 8.97 percent. The weekly SPI has been computed with base 2007-08=100, covering 17 urban centers and 53 essential items for all income groups and combined. Meanwhile, the SPI for the income groups from Rs 8001-12,000, Rs 12,001-18,000, 18,001-35,000 and above Rs 35000 per month increased by 0. 33 percent, 0.33 percent, 0.31 percent , and 0.27 percent respectively. During the week under review, average prices of 8 items registered decrease, while that of 23 items increased with the remaining 22 items' prices unchanged. The items which registered decrease in their prices during the week under review included eggs, LPG Cylinder, wheat, red chilly, gur, wheat flour, gram pulse and firewood. The items which recorded increase in their average prices included tomatoes, onions, garlic, bananas, potatoes, moong pulse, chicken, mash pulse, cooked daal, tea (prepared), vegetable ghee (loose), masoor pulse, vegetable ghee (tin), milk (powdered), sugar, mustard oil, rice (basmati broken), cooking oil (tin), rice (irri-6), curd, mutton, milk (fresh) and beefSimilarly the items which recorded no change in their prices included bread, salt (powdered), tea (packet), cooked beef, cigarettes, long cloth, shirting, lawn, gents sandal, gents chappal, ladies sandal, electricity charges, gas charges, electric bulb, washing soap, match box, petrol, diesel, telephone local call and bath soap. Islamabad Chamber of Commerce and Industry for taking business community on board on tax amnesty sch ..